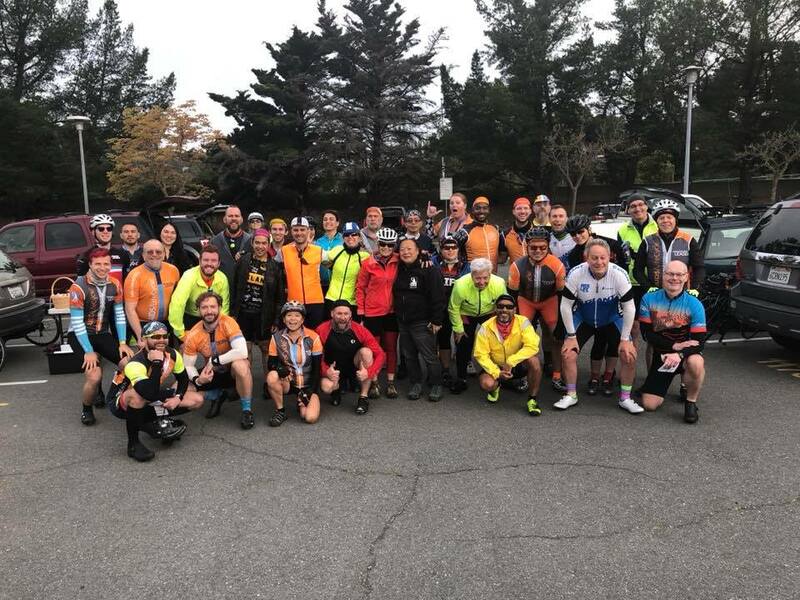 The Marin Marauders is an AIDS Lifecycle training group based in Marin County, offering training rides to prepare cyclists for the AIDS Lifecycle 2019. If you live in Marin, this group is perfect for you. If you live in San Francisco, avoid the fog and crowds of the Golden Gate Bridge, and join the group that starts in beautiful and sunny (mostly!) Marin. We meet at the park opposite Marin General Hospital on Bon Air Road in Greenbrae, and ride on Sunday. The series (from January to May) will start off slow and easy – and each week we add on a few miles and learn a few new techniques. 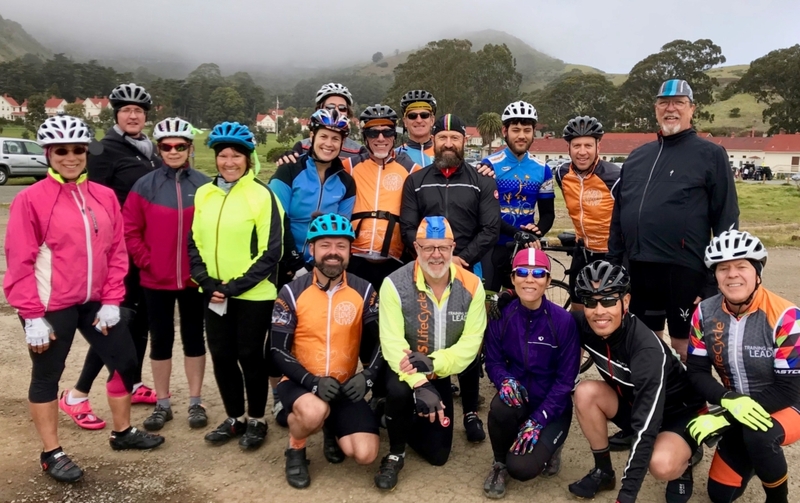 All AIDS/LifeCycle official training rides are an inclusive and safe space welcoming ANY and ALL, regardless of skill level or cycling pace. This ride in the series takes us to Marshall via some spectacular scenery and a couple of notable hills. We leave Hal Brown Park (opposite Marin General Hospital) and passing through San Rafael stop for a Coffee at Peet’s at Northgate Mall before enjoying the exhilaration of a climb up Big Rock on Lucas Valley Road (photos at the top please). After the lovely gentle descent we pass through Nicasio and make a stop at the Marin Cheese Factory before heading into the beautiful Marin countryside of Hicks Valley, and the Marshall Petaluma Rd. 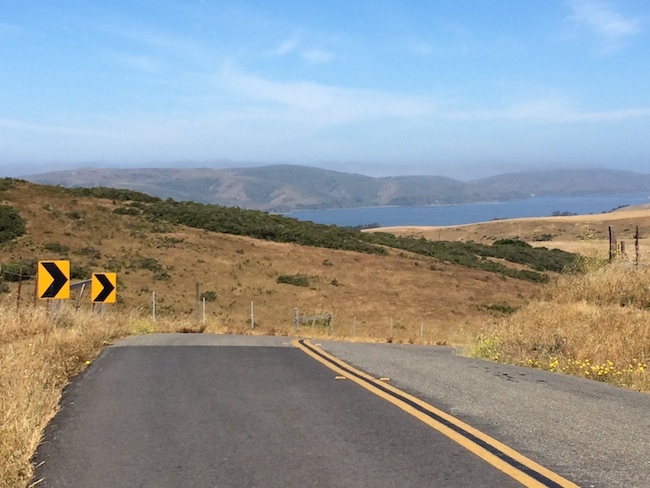 We climb the notorious (but really NOT that bad) Marshall Wall and drop down to the Shoreline Highway to views of spectacular Tomales Bay. A rest stop at the Marshall Store gives the fearless of the group the option of refueling on oysters , before we reach Point Reyes. We head home along the now familiar route of Samuel P. Taylor Park and Lagunitas, Fairfax, and back to Hal Brown Park. This is a challenging ride and you are READY at this point! !